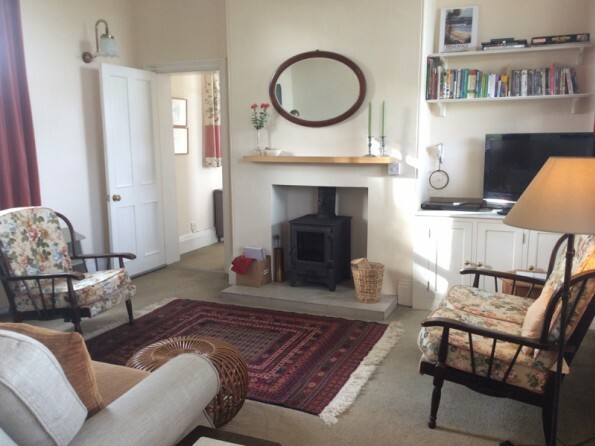 Set on a quiet country lane in Herefordshire, you will find Rowden Mill Station - a wonderful conversion of a station building into holiday accommodation for four people, with additional space for 2 in the former parcel office. Wonderful views from the platform over the Wall Hills, and lots to do in the vicinity. 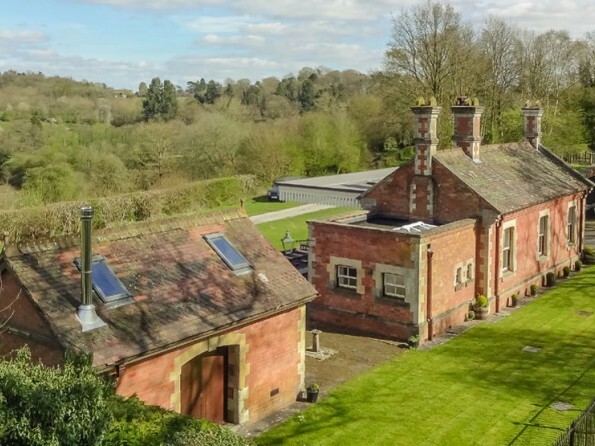 Rowden Mill station is set in wonderful rolling countryside, yet is within five minutes by car of Bromyard, a charming market town. A little further away, approx 35 minutes, is the gourmet town of Ludlow. The station building sleeps four people in two bedrooms, and the parcel office, a little further down the platform, can accommodate an additional two. 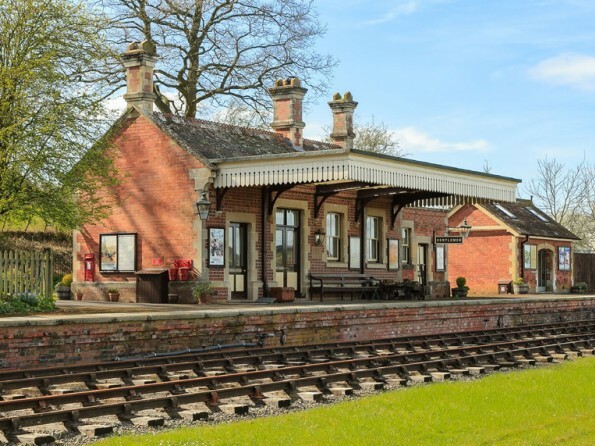 It has been meticulously renovated and the station buildings are outwardly exactly as they once were. Whether you’re looking for a quiet retreat in a setting from yesteryear, or a base from which to explore the surrounding Herefordshire towns and countryside, Rowden Mill is an excellent choice. 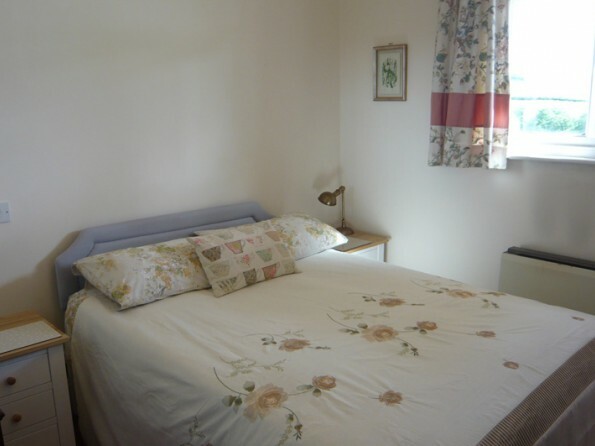 The station is within walking distance of a nearby inn at Bredenbury. The historic market town of Bromyard is only a 5 minute drive away - many good pubs and eating places here, as well as cinema-theatre, shops etc. The station is ideally situated to discover the cider and perry making trails, or to visit the gourmet town of Ludlow. Visit the Malvern Hills and Wye River Valley, the historic town of Hereford and the ‘Black and White’ villages around Leominster. 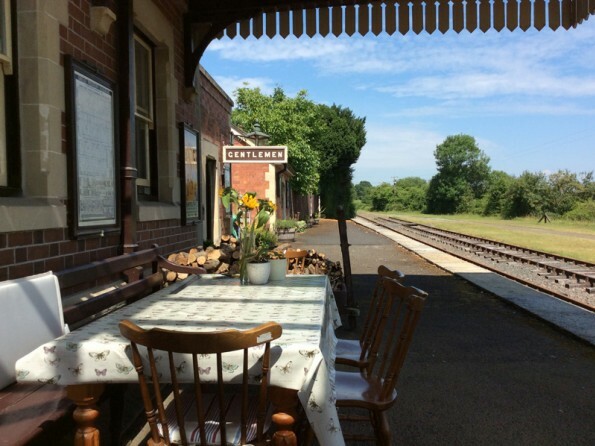 The Severn Valley Railway, the Gloucestershire-Warwickshire and the Dean Forest Railway lines are all within one hour’s drive. You can go horseriding, canoeing, hiking, biking, fishing, play golf, visit farm parks, heritage railways, gardens, parklands and nature reserves. The main station building can accommodate four people in two bedrooms. The double bedroom was once the Ladies Waiting Room and overlooks the platform and hills beyond. The former porters room is now a bunk room. 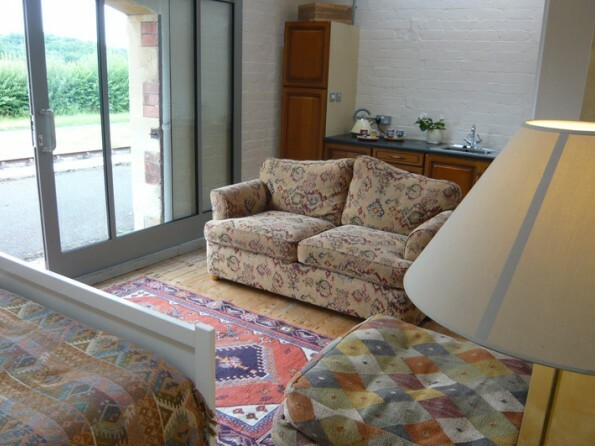 The main waiting room has double doors onto the platform and has been converted into a sitting room with wood burning stove and Ercol chairs. 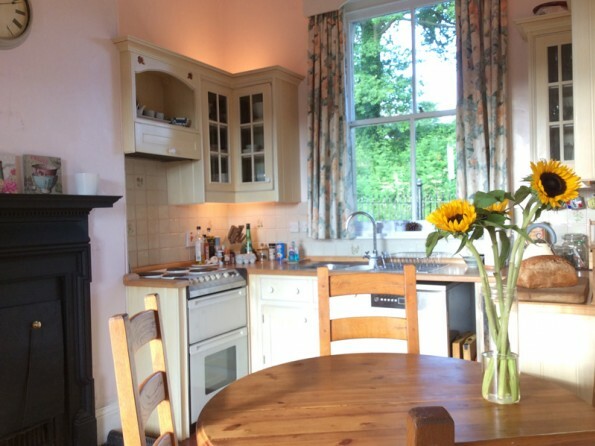 The Booking Office is now a fully fitted kitchen diner, complete with oven, microwave, fridge freezer and dishwasher. There is a Victorian style bathroom with bath and shower over. The wood burner and storage heaters keep you warm in chilly weather. The station has fast wifi both in and around the buildings, and the living room has flat screen TV with freeview, DVD and CD player. 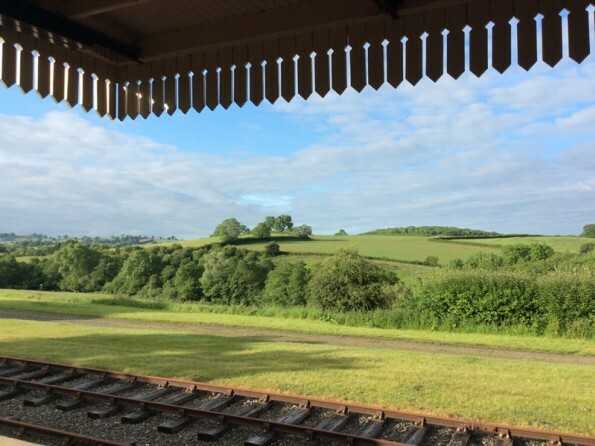 The station platform canopy is a wonderful outdoor space with far reaching views over rolling countryside. There is a table and chairs, large gas BBQ and chimenea. 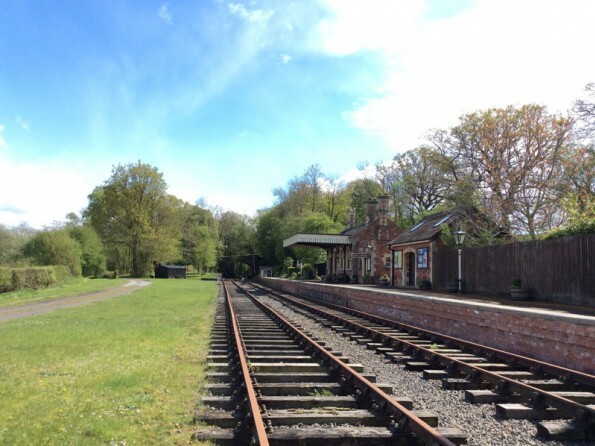 The whole site extends to 2.75 acres of lawns and wooded areas including 300 metres of track, a working set of points, a ground frame and other GWR station technical memorabilia. There is on site parking for up to two cars. 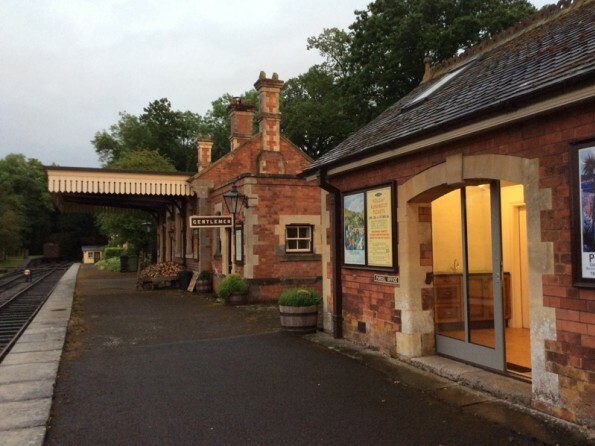 The Parcel Office is a few metres along the main station platform and has been converted to be a studio annexe to the station building, if your group is larger than 4. 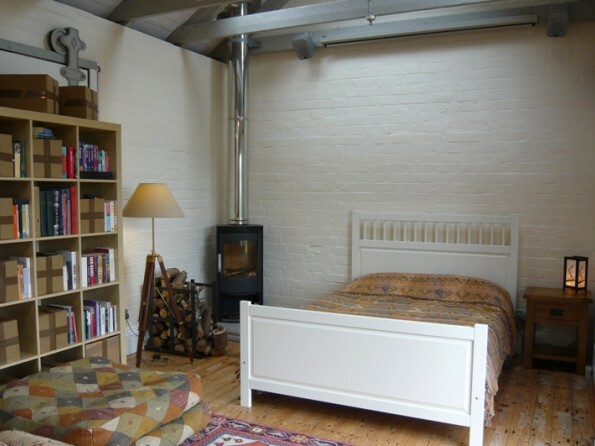 It has a double bed and sitting area, floor cushions, wood burning stove, tea making facilities with sink and a WC. Sliding doors give direct access to the station platform. The Parcel Office can only be hired in conjunction with the station building. 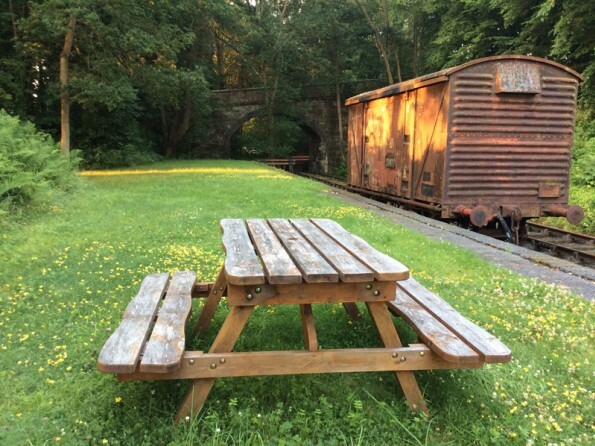 No trains pass by on the tracks anymore of course, but due to the platforms, track and other railway detail, we would recommend that Rowden Mill Station is best suited to babies in arms, or to older children. Feel free to contact us if unsure of suitability. Minimum stay 2 nights. Sorry, no pets.